Renew Crew, a low cost home maintenance franchise, was started in 1993 by Stan Krempges as Wood Re New. Now named Renew Crew, they are the leading national brand for exterior surface cleaning and protecting with a three-step process called the Renew Crew Clean. We sat down with the company's franchise recruiting consultant, Jessica Kelman, to find out more about Renew Crew, the Renew Crew Clean, and what sets them apart from others in the industry. 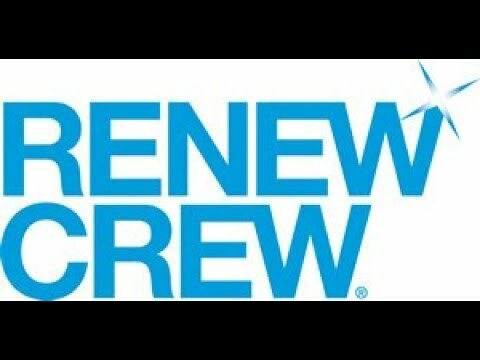 Tell us how was Renew Crew originally conceived and started? Wood Re New started in 1993 in Springfield, Missouri by Stan Krempges, owner of a fence installation company. One question Stan often heard from his clients was "how can I keep my fence looking like new?" His research lead to developing a proprietary environmentally safe foam cleaner to restore weathered wood decks, fences, docks, and cedar siding. In 2012, after becoming part of Outdoor Living Brands, Stan had the opportunity to diversify the Wood Re New, business by adding a line of proprietary solutions to clean and protect additional exterior surfaces, such as, siding, patios, driveways, and sidewalks. At that point he decided to rebrand the business to Renew Crew to account for the expanded service offerings. What was the original vision for Renew Crew? Has that changed over time? When Wood Re New was established, its vision was to be a company focused on cleaning and sealing wood exterior surfaces, fences, decks, cedar siding. When Stan had the opportunity to join Outdoor Living Brands he saw this as an opportunity for expanding the service offering to include additional exterior surfaces, such as, siding concrete, brick, and pavers. This shift in vision came at great time, as pavers are becoming a very popular choice for outdoor living areas. What makes the home maintenance industry attractive? Cleaning and protecting the various outdoor surfaces is an important part of home ownership and part of an estimated $476 billion home maintenance market. Even better for our franchisees, these homeowner maintenance obligations must be done regardless of how strong or weak the economy might be, thereby providing a recession resistant revenue stream. Renew Crew provides a comprehensive suite of services to assist American homeowners to protect and maintain their most important asset their home. Every year, Americans spend up to 4% of the value of their homes on annual home maintenance and repairs, according to Caldwell Banker; given an average home value of $170,000, that's $6,800 per household every year. According to the U.S. Census, there are over 70 million single family homes so the annual spend by American homeowners on maintenance activities is approximately $476 billion. What type of qualities do you look for in a potential franchisee? We look for individuals with genuine, outgoing personalities. They should have strong sales and networking skills, and be socially conscious. How do territories work for your franchisees? Renew Crew has exclusive territories of typically over 400,000 in population, with approximately 50,000 households or more, making an average household income over $75,000. Where do you see Renew Crew in 5 years? The plan for Renew Crew is to add an additional 50 units over the next 5 years and continue to add processes and tools to the system that will increase the franchisees profit margins. The addition of siding, concrete and paver surface cleaning and protection in 2012 is projected to more than double existing franchisees sales over the next several years. What's your favorite advice for new franchisees? Follow the system. Over the years we have developed very efficient procedures and systems, perfected products and we know how to stay on top of your accounting so you are profitable, not just staying busy. Outdoor Living Brands may offer financing to qualified individuals for up to half of the initial franchise fee. We also work with a third party called, BanCorp Bank, who helps individuals to secure vehicle financing. How long does it take, on average, to start a new Renew Crew franchise? In most cases you can hit the ground running within 30 days and begin seeing a return on your investment in the time it takes other diversification initiatives or franchise concepts to just begin laying groundwork. Do you have any franchisee testimonials or success stories that you would like to share? "I love that my office is behind a windshield. I am on the road most of the day going to new places and meeting new people. I enjoy the transformation that takes place on a daily basis. It still is a lot of fun to watch those ugly, gray decks and fences go from nasty to beautiful. It's much more satisfying than pushing paperwork around an office! I also enjoy working with the young men who are employed here. It's nice to give these guys a chance to prove themselves and work up the career ladder either here or go on to other careers." "Regarding the franchise system, we enjoy not being another number. We feel the franchisor has a personal interest in our success. Regarding the business, we enjoy the freedom that being in business for yourself brings. We can schedule ourselves time off relatively easy and our crews continue to work while we are vacationing. Regarding the system-the products and process are tried and proven and we are proud of what the finished product/service looks like." "It's pretty cool to hear positive remarks about your work. You don't get that pleasure everyday in Corporate America." "I like the seasonal aspect of our service. We work hard for 9 1/2 months and then take a couple of months off to re-charge and enjoy some traveling."